On the lower slopes of the Pyramiden mountain, there is a number of smaller, old mining installations: day plants, mine shafts, ventilation shafts and waste dumps. The terms “old mine 1” respectively 2 and 3 are my own names to make the overview easier, they are not the real historical designations. Old mine at Pyramiden and the view over Mimerdalen. Further information on these facilities is not available: when were they built, were they just early attempts and trial shafts or was coal actually produced here? If so, when and how much? In case you know more, please get in touch! 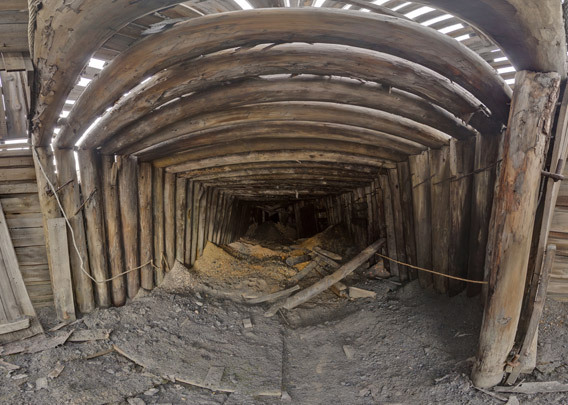 An important warning: entering old coal mines is highly dangerous. 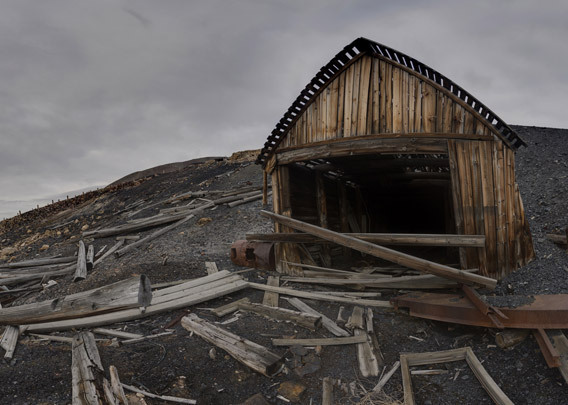 Structures and mine shaft roofs may collapse at any time, and gas may migrate from the surrounding rocks and coal into the mine shaft. You can not see or smell it and once you feel it, it is too late. Entering a coal mine that is not under control and professionally ventilated is life dangerous, so never ever go into an old coal mine!